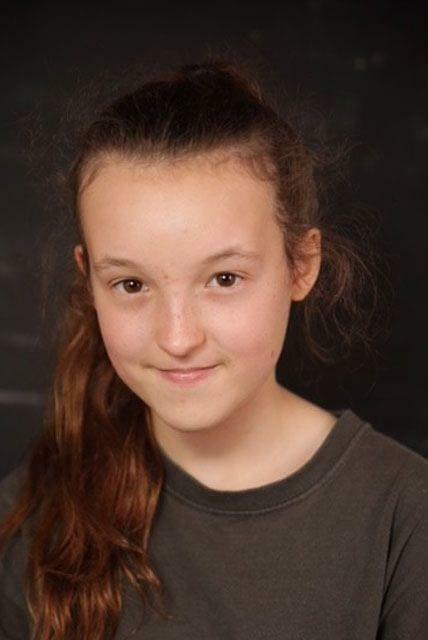 InterHigh pupil Bella Ramsey is a professional actress and stars in the popular HBO series Game of Thrones and the CBBC series Worst Witch. We asked Bella a few questions about her career. 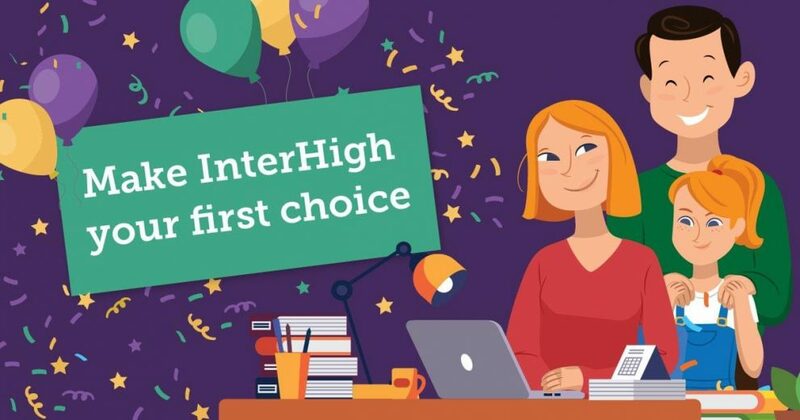 Fitting in your studies around your acting career must be challenging, why did you join InterHigh and how does it compare to your previous educational experiences? Yes, it is a challenge but I cope, it’s great that the lessons are recorded. I joined Interhigh for two reasons; one because I really didn’t enjoy mainstream secondary school and wasn’t happy – it just wasn’t for me and two because of acting. Interhigh is, in my opinion, one of the best things the internet can be used for. I get way more out of the lessons because there’s no frustrating distractions or loud unruly classes, you get to sit in the quiet and safety of your own home and learn. It’s great. I love it and recommend it to everyone. It also decreases peer pressure and the desire we all have to fit in to a certain box. I think it allows people to be who they truly are and it leaves room for people to do the non-academic things they love. You’ve been acting since a young age on stage and now in television, how did you get involved in acting? Well I’ve always done it really, from a young age I was in my local amateur theatre groups and then when I was about 10 or 11 I auditioned for Television Workshop in Nottingham. I got into the reserve group the first year and then the following year auditioned again and got in the main group! I ended up getting a few auditions, a few rejections and then I got an audition for Game of Thrones – that’s where it all started. 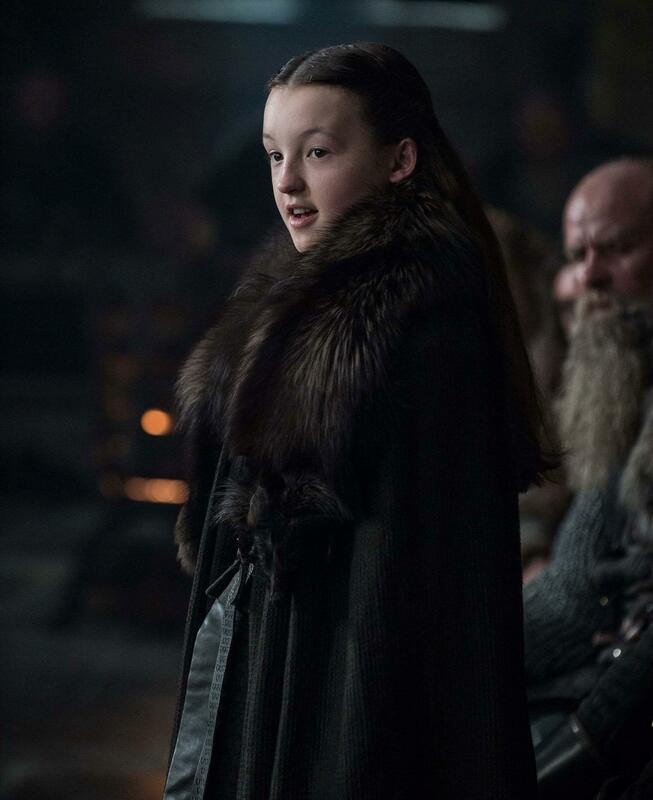 Obviously, a lot of people know you from Game of Thrones, Season Six, where you play the role of Lyanna Mormont. How did you get the part? I got given a script to learn and then had to go to Manchester for the audition. So I did one audition and then a week or so later we knew that they were seriously considering me for the part, then perhaps another week after that my mum got the phone call to say that I’d got it! But we had to keep it secret until it came out because Lyanna was a new character. Game of Thrones is watched by millions of people around the world, were you aware of the scale of the series? Nope. Not at all. In fact, when we got the email asking me to audition for this Game of Thrones thing we had no idea what it actually was. We’d never heard of it. My older sister knew what it was though, she’d watched it with her friends so she was really hoping I got it! My whole family (apart from me because I was too young) started watching it then and loved it! Even now I don’t think I quite realise the scale of it. Did the size of the show make you nervous or more excited before walking on set for the first time? And what surprised you the most about the whole experience? I was a little apprehensive of course; Game of Thrones was my first professional thing. I’d never been on any sort of set before. Mainly I was just so grateful to be given the opportunity. I was buzzing! I just had no idea what to expect I guess, but filming doesn’t really make me nervous, it never has. Being on stage wracks me with nerves though! So I definitely prefer film and tv acting!! I was surprised at how nice everyone was, you always hear these stories of scary directors and diva actors but they’re a load of nonsense. Every director I’ve worked with so far has been so kind and I’ve learnt lots from them. And 99% of actors aren’t divas! Certainly no one on Game of Thrones was. A lot of the actors you worked with are household names, what were they like to work with and did you feel intimidated or nervous about meeting and working with them? To be honest, I don’t watch a lot of films or tv shows so the majority of the actors I work with I’ve never heard of! Other people on set get star struck but I don’t because I haven’t got a clue who they are! And even if I do know them from a film I watched, meeting them doesn’t intimidate me at all, they’re just a person like anyone else. I guess I just want to treat everyone the same. A lot of things go into making a series like Game of Thrones that the public never get to see, what is a typical day’s filming like? It’s crazy. Everywhere you look there’s people! To make a show like Game of Thrones you have to have a massive crew and everyone has a certain role, for example, it was someone’s job to place tufts of fake grass and someone else’s job to spray fake snow on all the trees! So you get a pick up time which is often very very early unless it’s a night shoot, then you have to go through costume, hair and make-up and then travel to set. Then you do a line run where you read the scene with the rest of the cast and then rehearsals and blocking (where the director sets positions and stuff like that). 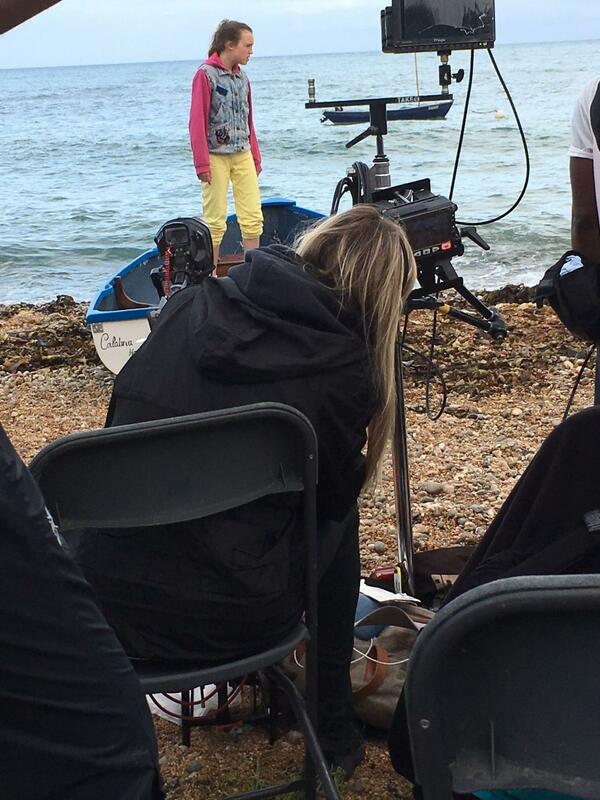 Then once all that’s done the camera team set up a shot and you’re away! You do the same scene over and over and over on many different camera angles and lenses! It’s tiring and hard work, definitely not the glitz and glamour that is often portrayed. It’s tough so you have to love it. Filming has finished for the final series of Game of Thrones. The plot is a closely guarded secret by all involved. Reflecting on your time in the series, and without giving anything away, what was your favourite moment on set? Yep, it’s all over and all very secret as usual. That’s a tough question but I think my favourite thing was when my dad and sister came on set for the first time, it’s usually just me and my mum so it was nice to have the whole family there. But in general, the best moment on any shoot is when you really nail a scene or a moment, it’s just the best feeling. I can always feel when a scene is going well and when it is: positive energy just bubbles up inside me. Any bloopers or funny stories you can share with us? In general there’s a lot of swearing so people often come behind me and cover my ears which is always funny!! My cloak got caught on the bench at one point!! I had to get up and go to the middle of the room but I couldn’t because my cloak was caught but I tried to style it out and carry on. In the end everyone just burst out laughing. That was funny. What has the reaction been since you first appeared on the series from your friends, family and the general public? Do you get recognised a lot? It’s been mad I wasn’t expecting it at all. When I watch Lyanna’s scenes back, I cringe big time. I hate it. But the way the general public have reacted has been just crazy, I’m so relieved!! My friends and family have been supportive as ever. I do get recognised quite a bit actually, I remember the first time was in the queue for the toilets at St Pancras Station! That was funny. 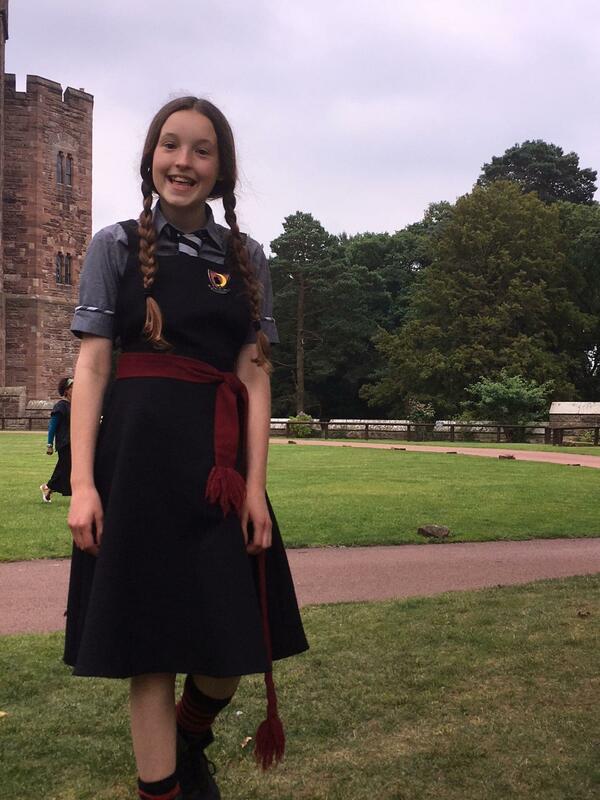 Mainly though I get recognised as Mildred from the Worst Witch, probably because I look more like Mildred in real life than Lyanna. Was Game of Thrones was your first professional acting role? Is acting something you’d like to do full-time after you’ve completed your studies or would you like to do something else? Yep it was. To be honest I’m pretty much doing it full time already and I think I’ll just carry on while I’m loving it. I’ll just keep going until people get fed up of me. I fit school in when I can, that’s why Interhigh works really well because it’s so flexible. In the future I’d like to set up a performing arts/ film and tv centre for special needs children. Also I love art and music and writing – I write songs and poems – so I’d like to do that too. 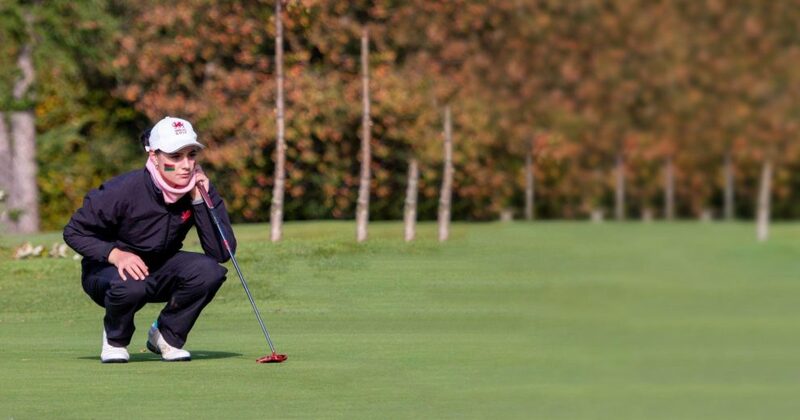 I’m obsessed with football as well but I’m not good enough to do it as a profession, I’ll keep practising though! But no, I think I’d like to carry on acting. What roles can pupils and staff at InterHigh expect to see you in next? What’s coming up? Well there’s The Worst Witch, season three is coming out in January and that’s on CBBC and Netflix. There’s also Hilda which is out now on Netflix, it’s an animation and I do the voice of Hilda. A film called Two For Joy has just come out in Everyman cinema’s but I think the run is over now, it will be out on DVD at some point though I’m sure. Holmes and Watson is the next thing, it’s a comedy take on Sherlock Holmes and I play a street urchin which was really fun and also a short film I did called ZERO will be out soon. Sometime next year a film called Judy, based on the life of Judy Garland will be released too, I play Lorna Luft - one of her daughters. Right now I’m filming something called Resistance in the Czech Republic and Germany! You can keep up to date with this sort of thing by looking at my IMDB page.